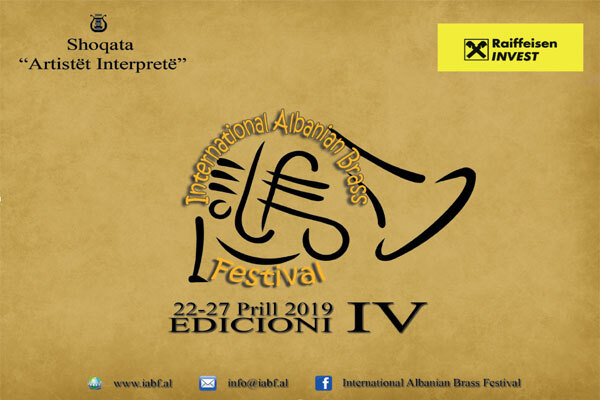 “International Albanian Brass Festival” is organized from Association “Interpeter Artists” with President Mr. Andrea Canaj and Artistic Director Mr. Ilir Kodhima. This the 3rd edition which will be held from April 23 to April 28, with guest artist from different countries: Gergley Sugar (Austria), Orsolya Korcsolan (Austria), Yulia Malikova (Russia), Marco Pierbon (Italy), Iris Hasani (Albania), Gregory Jones (USA), Busina Brass Quintet (Croatia), Aldi Preza (Albania), Besa Ahmeti (Kosovo), Hrvoje Pintaric (Croatia), Kledia Toshi (Albania i), Dorian Cene (Albania), Jurgen Albarjami (Albania), Ansambli Shqiptarë i Tunxhit, Enis Mullaj (Albania), Ergjes Spahiu (Albania), Ismet Vejseli (North Macedonia) scholarship student, Eric DJ (Albania). The objectives of the festivals are to increase the artistic level of the new generation and to exchange music and culture between artists from all over the world. Mission: Promoting music and art in Albania through this international festival of music. The festival will be an added value to the Albanian Art especially nowadays. An International Festival that will gather together artists from different countries.